TRAD - Der Film on DVD: with scenic presentations of the folk songs and yodels to be found on Trad II, as well as around 25 minutes of previously unreleased interview material. Please transfer the correct amount in advance to our account and we'll send your DVD as soon as payment is received! Vienna (OTS) - Music and pictures, merged to a whole - that is what the TV special Hubert von Goisern - Trad II offers, showing on Saturday, 29th May 2004, 22.50 in ORF 2. Julian Pölsler, director of the Polt series, has adapted eight songs from the CD Trad II with the unconventional musician and set them to the pictures that von Goisern had in his mind's eye when he was composing the pieces. 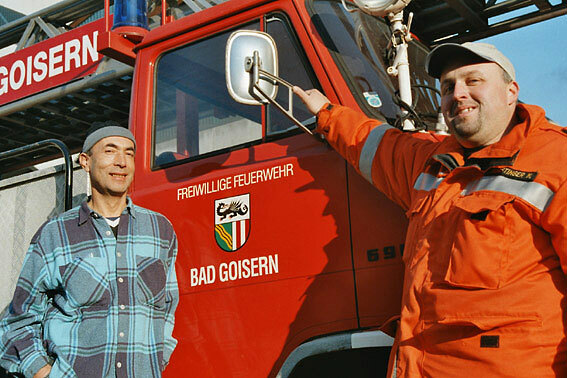 The unusual film project is not the first collaboration between Julian Pölsler and the Goiserer. "I have known Hubert von Goisern since 1986," says the director. "I heard him on Kärntner Straße, where he was performing as a street musician, and was so deeply impressed by his singing and personality, that I immediately asked him whether he would like to write the soundtrack for one of my films sometime. Out of this meeting came a long-standing, deep, exciting and difficult friendship." 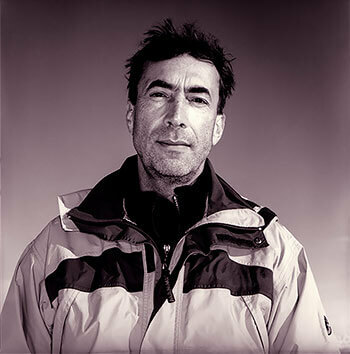 A friendship which also found expression in professional collaboration between the two creative heads time and time again - so for example, Hubert von Goisern wrote the music to Pölsler's two-parter Die Fernsehsaga - Eine steirische Fernsehgeschichte, which was shown on ORF in December 1996. 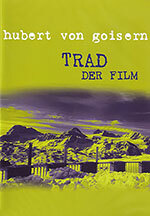 Hubert von Goisern - Trad II was filmed in Hallstatt, Bad Goisern, Bad Ischl, Altaussee, the Obertraun ice caves, the Gosau mill, in the salt mountains of Ebensee and on Krippenstein. With it, Hubert von Goisern fulfilled a long-held wish: to give expression to the yodels and folk songs he has grown fond of. The viewer gets an impression of the spectacular landscape in Hubert von Goisern's homeland, which has lastingly shaped him and his music. However, it was not always very easy to get support for the film project in his homeland, says Hubert von Goisern: "The natives you have to court - always go there, talk, drink a beer. But in the end, the most unpleasant farmer let me go through his field." Julian Pölsler also remembers some difficulties which appeared during the realisation of the film project: "Unfortunately we were under considerable time pressure, and so not everything could be translated as in the script. But with what film does that happen? The most important thing is that the film was made. Hubert von Goisern always says to me "mistakes are only in what is not done", and I totally agree with him. These are the pieces that are show in the film Hubert von Goisern - Trad II: the yodels Kohler and Krippensteiner, as well as De Gamserln, Da Insrige, S'Büscherl, Eiszapfen, Abend spat and Schützenmarsch. Julian Pölsler is convinced that the result of the unusual film work earns the description "Must see! ": "Hubert von Goisern is always interesting and worth an emotional journey, whether on CD, on tour, or on TV!" Austria, land of the mountains, valleys and meadows. And the land of people who preserve tradition. They wear traditional costume, go to historic crossbow shooting festivals, or take hold of dulcimers and accordions. That is worth seeing when the tour guide through this area is Hubert von Goisern and he shows his homeland, the Salzkammergut, in idyllic pictures and sings their praises. Together with director Julian Pölsler, a poetic travel documentary has arisen, including music videos. 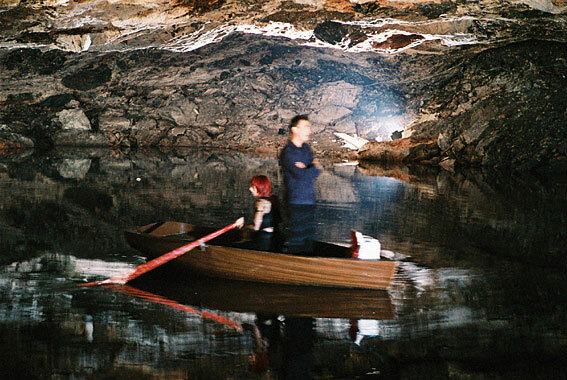 Von Goisern is travelling with dog, Harley and Tyrolean hat, at times in the mountains, at times in his hometown Bad Goisern, at times in a small boat on an underground lake. He tells stories from the homeland and explains where he really feels at home: "Wherever people play music." And Goisern plays music everywhere. He recorded his newest CD Trad II at 2100m above sea level on the Krippenstein in the Dachstein massif. Eight of these songs will be staged in various ways in the documentary. On the glacier he yodels to electronic drums in a poppy green and yellow boy group outfit, he sings as a romantic gondolier and sails across the Hallstatt lake with his beloved. And there are worldly wisdoms in between: "Real love songs are always songs about longing." The folk music clips are so unusual, the music presents itself so surprisingly down-to-earth. But von Goisern does not serve the unloved cliché of alpine rock any more. For him it is: back to tradition with country dances, yodels and marches without flourish - in front of a background of a picture-book landscape. "The soup must be salty!" In October, Hubert von Goisern took the new CD Trad II, which had been recorded on Krippenstein, and presented it there too. We met him during film shooting in November, which was also done in the Altaussee mine and at Ebensee saltworks, and asked him about his personal relationship to the white gold. What meaning does salt have for you? If there is something I can't stand, then it is when something is stale and flavourless. That does not just go for food, but life in principal. Soup must be salty and the soup of life too! How do you judge the influence of salt on the musical tradition in the Salzkammergut? A direct influence does not immediately occur to me. 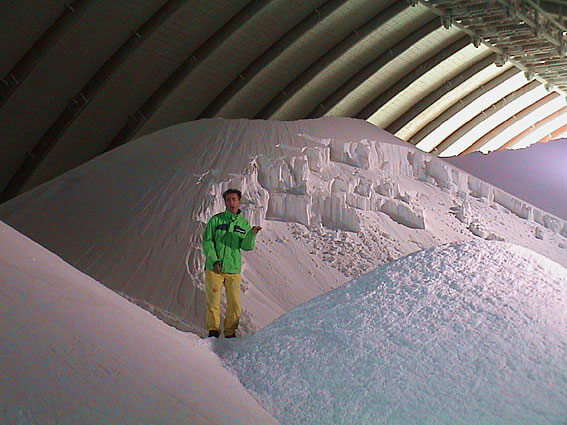 But of course the whole region would have developed in a completely different direction without salt. The importance was so all-embracing that the music and musicians will certainly have been strongly influenced. For example Toifl Fritz (note: Fritz Hillbrand is a folk musician well-known in the area) was himself employed at the saltworks. He regularly played the accordion at mountain festivals. However, if you want to hear a salt-gstanzl from me now, I must unfortunately pass. In one of your old songs, there is the line "Gott erhalt's unser Salz" ("God protect our salt"). Is salt another ingredient in your music? Not yet further than that, but perhaps something will develop and thereby possibilities will be offered in the future? Many thanks to all colleagues for the assistance with the filming of the HvG film. When marketing people say "that will work somehow", then it means tackle it. But then mostly others tackle it. Here all those people should be mentioned: in the Gumplwerk in Altaussee, it was primarily Johannes Weissenbacher who was primarily responsible as "host" for the safety and wellbeing of the star and the film team, also for the accomplishment of the logistical challenge. 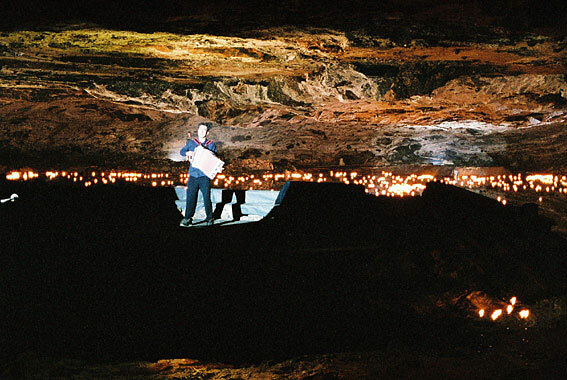 His wife, his son, Jessica Jarosch and Paul Rettenbacher helped him with the lighting, putting out and fishing of the no fewer than 1,900 floating candles! A week later in the Ebensee saltworks: Walter Draxner let a mountain of salt be heaped up and arranged so that the men at the control centre rerouted the current thawing salt production into the new storage hall, so that the film team - unimpaired by salt dust - could set HvG in the right light in the old storage hall. Again, thank you to everyone. 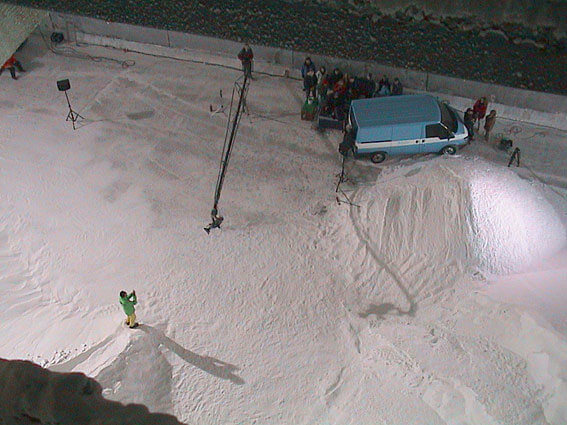 You recorded Trad II in the Krippenstein mountain hotel - certainly an impressive although unusual location. Is it important to you to be able to reach out beyond the four walls of an ordinary studio when making an album? No, it's not important. First and foremost, the necessity arose from the renovation, or rather, the new building of my studio. And then there was just this remote, empty building up on the mountain. That appealed to me. So it was an opportunity, a chance, like many things, if not most, in life. What can this exploration of Austria's musical heritage teach you, as a composer, a musician, or even just personally? I don't feel like an explorer, I don't have enough patience for that. It's not my thing to rummage through the debris in order to find a couple of jewels. But I do bend down when I see something fascinating lying on the ground, it does not necessarily have to be glittering. And it is perhaps also a little exercise in humility - the bending down, I mean. But first and foremost, I think it is the challenge of interpreting folk songs on the one hand without pathos, but also without cynicism. And perhaps a bit of coming to terms with the past too. In any case, it's fun. A film accompanying eight songs from Trad II will be broadcast on TV at the end of the year. What inspired you to make this film? I was offered the broadcast time by the Bayerischer Rundfunk, as well as the infrastructure for the making of a film based on the Trad II CD. And Hage, my agent, urged me to use this offer too. It was as simple as that. It was less simple to make something clever. I hope we were successful. Was it a good feeling to play a part behind the camera as well in front of it? Unfortunately, apart from my collaboration on the script, I was only in front of the camera. Furthermore the tight time budget and the short preparation time fell in a period where I barely had any more capacity and so had to delegate a great deal. After the criticism of Trad by the "music police" of Austria as you call them, did you meet with any resistance to your project from locals while filming? Or were creative differences set aside between the "rebel" and the "guardians"? The best thing of the film work was the support of the locals. I won many new friends in this time and discovered an esteem from the people of my homeland which I perhaps suspected, but was not certain of. Naturally there are still those for whom I am a red rag. But that's ok too. There are indeed also those - with all the tolerance which I exhort in myself again and again - with whom I can't and/or do not want to have any dealings.